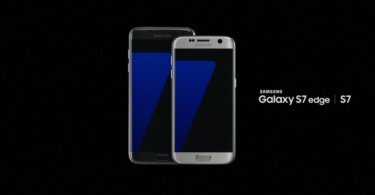 Download Stock ROM For Verizon Galaxy S7/S7 Edge (SM-G930V/SM-G935V): Samsung S7 and the S7 Edge are the flagship smartphones of Samsung from last year. Both the phones were launched with Android Marshmallow 6.0 out of the box. So, Android Marshmallow is the stock firmware for both these phones. So, if you ever want to factory reset your S7 or S7 edge or to restore your firmware to rectify any performance or software issues, you have to install the official stock Marshmallow firmware even if you are in a different version of Android. In case your device got stuck in a bootloop or you just want to replace a Custom ROM with the Stock OS, then all you have to do is to flash the official Stock firmware of S7 or S7 Edge from the bootloader. You can download the Stock Firmware for these devices from below and follow our step by step instructions to install it on your S7 or S7 Edge device. Note that the stock firmware is only for the Verizon S7 or S7 Edge devices, so do not install this on other variants. You have to download the latest version of Odin flash tool and the right firmware file for your device then you can easily flash the stock Firmware on your Samsung Galaxy Smartphone. We are sharing a detailed guide down below.